(APN) ATLANTA — In a curious turn of events, the hacker group, Operation KKK, which claims to be affiliated with Anonymous, appears to have disclaimed that it is behind the recent Internet postings regarding purported members of the Ku Klux Klan in U.S. government positions. 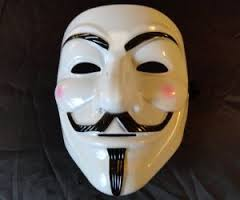 At 1:13pm on Sunday, November 01, 2015, the Twitter account @YourAnonNews–which identifies itself as an entity of Anonymous, “signal boost for Anonymous operations, resistance movements, & journalism”–had posted a link to a list of several email addresses and phone numbers that they said were affiliated with KKK members. “It seems that phone numbers of KKK members are on the internet. http://pastebin.com/47EYpYyW,” the Tweet stated. The pastebin file contained several email addresses and phone numbers, as well as links to two other pastebin files more of such information. The apparent author of these files is @YourAntiSec. The Twitter account, @YourAntiSec, took credit for these postings. Meanwhile, another pastebin file, posted on Saturday, October 31, 2015, said it contained the names of several elected officials who were “associated with either kkk or racist related,” including four U.S. senators and several city mayors. @YourAntiSec later posted he is not affiliated with the @sbtblko420 list. On @sgtblko420’s Twitter page, the person claims they are not part of Anonymous; that they have sent supporting documentation to several news media; and that they are going to be “going dark,” or presumably not Tweeting, for a while. “Sending out all the screen shoots database dumps to multiple news media within the hour they will sort out the proof and report it,” @sgtblko420 wrote, but no news reports with any such images or documents have been published. Previously, Anonymous/@operation_kkk, had claimed that it planned to release such a list on Thursday, November 05, 2015. Now, @operation_kkk claims that it was not behind the lists posted to pastebin–apparently neither the lists posted by @YourAntiSec nor @sgtblko420–and says it plans to release its list on Thursday. “This account has NOT YET released any information. We believe in due diligence and will NOT recklessly involve innocent individuals,” the apparent Anonymous account stated. So, according to our analysis, there are actually at least four persons or groups involved in this situation: @operation_kkk, @YourAntiSec, @YourAnonNews, and @sgtblko420. Atlanta Progressive News reported yesterday, Monday, November 02, 2015, that U.S. Sen. Johnny Isakson (R-GA) denied being on the list. Marie Gordon with Isakson’s office said the story was completely false and that U.S. Sen. Isakson has never been affiliated with the KKK. Several national and local news organizations throughout the U.S., including Atlanta Progressive News, reported on the postings. Throughout the country, U.S. Senators and Mayors responded to the accusations, denying affiliation with the KKK. While U.S. Sen Isakson’s office responded to APN, other elected officials took to Twitter themselves to respond. “This allegation from the group Anonymous is false, insulting and ridiculous. I have never had any relationship of any kind with the KKK,” Mayor Jim Gray from Lexington, Kentucky, wrote. Anonymous is a loosely associated international network of activist and hacker entities. There have been many Anonymous entities over the last several years since its founding in 2003, of which Operation KKK is one. Last year, in 2014, an Operation Ferguson that claimed affiliation with Anonymous took down City of Ferguson, Missouri, servers, including Internet, email, and phone, after they said police harassed activists who were protesting the Michael Brown police killing. I suspected this announcement was coming. Privacy experts recommend that we look ourselves up on the web and add false information to those sites, like Spokeo, that provide reports on people. It is much easier to discredit valid information by simply adding invalid information to the pile casting aspersions on everything than to eradicate or deny. Anonymous should not have made prior announcements regarding these plans. They should have simply waited until all their information was confirmed, made the information drop, then, after the fact, announced “Oh, by the way, check out what we just posted: membership information on the Ku Klux Klan.” Without prior warning, sympathizers could not have tried to undermine their efforts. Now, no matter what they release or how, doubt will be cast on the validity of the information.